The Hartland Library Board of Trustees hold their monthly meeting on the last Tuesday of each month at 1:00 pm at the library. 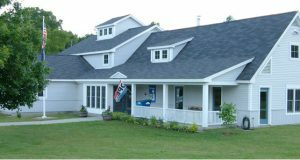 The Hartland Public Library Board of Trustees oversees the Library’s operating and administrative policies, votes on and establishes Library policy, sets the institution’s strategic goals, and acts as an agent of public trust governing the Library. The Trustees work together with the Library Director to carry out governance and policy-making responsibilities, as well as finance and development oversight and strategic planning. Board meeting minutes and agendas are posted online here.